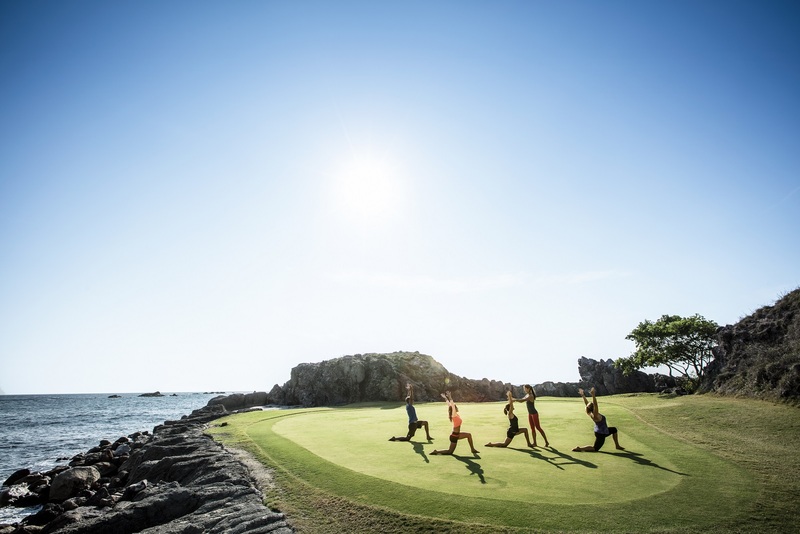 The Four Seasons Resort Punta Mita and The St. Regis Punta Mita Resort will celebrate Global Wellness Day this June 11 with an extensive schedule of activities through this weekend. From June 9-11, Four Seasons fitness expert Shanti Tilling, will lead a wellness-inspired weekend featuring activities such as stand-up paddle, morning yoga, outdoor adventure, box camps, salsa dancing, foot-golf, healthy cooking classes, and even a special program for children: “With our wellness activities set in our beautiful beachfront location, we hope our guests will be inspired to live well and participate in the initiative,” said John O’Sullivan, General Manager of The Four Seasons Resort Punta Mita. More information about the program and reservations are available on their website. The St. Regis will also offer wellness activities open to the public on June 11: beach yoga with Nayarani, a zumba class by César Espinosa and fun, 3K and 5K races on the beach are scheduled in the program. In addition, an interesting cooking workshop will be offered with Chef Yogui, who explains the balance between health, energy and the proper foods. Find more information about the event on their Facebook Page. Marc Murphy, Managing Director of Riviera Nayarit’s Convention and Visitors Bureau, invited folks to take advantage of the beautiful natural settings of the destination to exercise outdoors: “We’d like to extend an invitation to locals and visitors alike to step outside and take a walk, run, do some yoga, stand-up paddle, surf or hop on a bike: the idea is for families to be as active as possible and share it on our social media outlets,” he said. Global Wellness Day is a special commemoration celebrated internationally on the second Saturday of June. It was established in 2012 under the slogan “One day can change your whole life” and since then, dozens of countries all over the world have joined millions of people promoting physical, mental and emotional health. Punta Mita is a one of the most exclusive developments in México featuring premier resorts, luxury residences and exclusive golf course. It is located on the northernmost point of Banderas Bay approximately 30 minutes from the Puerto Vallarta’s International Airport.